Within weeks, the shift in command structure was obvious within South Block. Prime Minister Modi would decide, often surprising his officers with his decisions, and the MEA had to scramble to keep pace with his distinctive style. When he decided to put off a visit to Japan in July 2014, the message reached the Japanese Prime Minister directly, minutes ahead of even the Indian Ambassador in Tokyo. A few months later, when he decided to cancel Foreign Secretary Sujatha Singh’s trip to Pakistan if the Pakistan High Commissioner wouldn’t call off meetings with the Hurriyat, Ms. Singh herself was caught unawares. 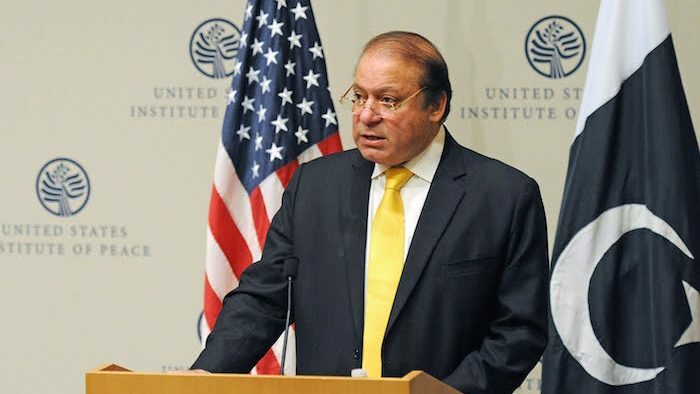 Other visits were announced with an equally firm grip and planned outside the MEA: details of his U.S. itinerary were decided by the Prime Minister and his personal advisers. Soon, surprise became the routine, and when he tweeted his invitation to U.S. President Barack Obama to be the Republic Day chief guest, the MEA had settled down to the idea that it wouldn’t be in the driver’s seat. By the time Mr. Modi landed in Lahore in December last year, it didn’t surprise anyone that the Pakistan division of the MEA was not consulted, and the Indian High Commissioner couldn’t make it to the tarmac in time. Nothing illustrates the emergence of freshwater as a key determinant of Asia’s future better than the drought that has parched lands from South East Asia to the Indian subcontinent. It has withered vast parcels of rice paddies and affected economic activity, including electricity generation at a time when power demand has peaked. Droughts are deceptive disasters because they don’t knock down buildings but they do carry high socioeconomic costs. Tens of millions of people in Vietnam, Cambodia, Thailand, Myanmar and India are now reeling from the searing drought, precipitated by El Niño, the extra-heat-yielding climate pattern. For China, the drought has created a public-relations challenge. Denying allegations that it is stealing from shared water sources or that its existing dams on the Mekong River are contributing to river depletion and recurrent drought downstream, China has released unspecified quantities of what it called “emergency water flows” to downriver states from one of its six giant dams, located just before the river flows out of Chinese territory. Ashton Carter, US Secretary of Defence’s visit to India this April was a call on his Indian counterpart, Manohar Parrikar among many other diplomatic parleys that came along with this Indian stoppage. This was Carter’s fourth visit to India as Secretary and his second one in less than a year, thus underscoring the importance of India as a strategic partner. It could also very well be his last visit on behalf of the Obama administration. In an attempt to end his Presidential tenure on a positive note with India, the outgoing President of the US, Barack Obama by sending members of his cabinet, is trying to make up for any damage that was done to the Indo-US bilateral relations during the course of his reign. Added to which, the Obama administration is trying to leave no stone unturned in the process of bringing much needed global closure on issues that had been lingering for long. The bilateral relationship between India and China is a key foreign policy challenge that requires concerted focus and effort by the Indian government. Given all that China offers -a big economic opportunity and a strategic challenge at the same time – dealing with it necessitate shedding the heavy-footedness and ambivalence that has held back New Delhi’s China policy so far. No matter how fast the Indian economy recovers and the Chinese slows down, Delhi cannot hope to close the gap any time soon. Instead, it should use its disadvantage into advantage and embark on an economic partnership that invites and eases Chinese investment. Following are few challenges that have raised the ambivalence in the relationship between the two countries. First challenge for India is the ever-widening economic gap between the two. In the economic domain, India is not recipients of any Chinese generosity. China has limited Indian access to its domestic market. India’s trade deficit with China rose to a whopping USD 37.8 billion in 2014 even as bilateral trade picked up, totalling USD 70.59 billion, a year on year increase of 7.9 percent. According to annual figures released by China’s General Administration of Customs, the total trade volume went to USD 70.59 billion from 2013’s USD 65.57, an increase of USD 5.02 billion amid increasing Chinese exports to India. India’s trade deficit with China touched a massive USD 44.87 billion in 2015 as bilateral trade registered a marginal increase, totalling USD 71.64 billion compared to USD 70.59 in 2014, missing the USD 100 billion target set by the leaders of the two nations. The total India-China trade in 2015 amounted to USD 71.64 billion. From its beginning, the Modi government has sought to engage deftly all the principal actors in the Asian balance and thereby build India up as more than a “balancing power”—making it instead “a leading power.” That means directing India’s foreign policy not only to preserve, but also to increase, India’s relative power. In world politics, while states—mainly great powers—join together to stop “overpowerful” states in order to maintain their relative power, they also aspire to increase their own national power. Becoming a major global power is a deeply rooted traditional objective of Indian foreign policy, and not just as part of a contest with China. 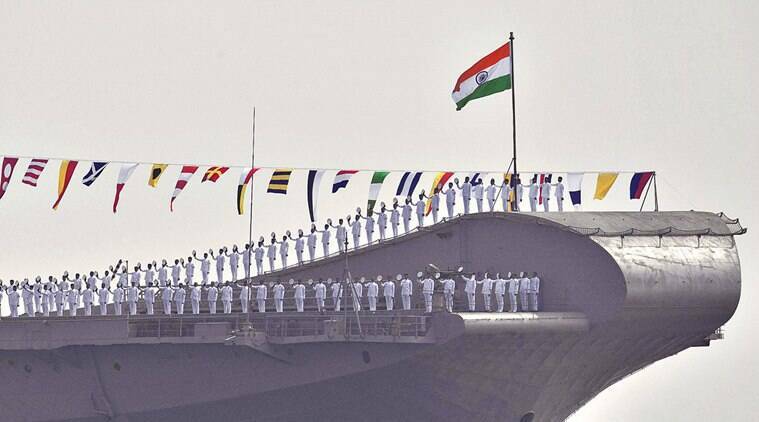 With an economy that is the world’s third largest in terms of purchasing power parity, a population of more than 1.2 billion, a continent-sized landmass, the world’s third-largest armed forces and a nuclear capability, India is already a major power in Asia. Middle East sands in 2016 seem to shifting at great speed buffeted by strong and unpredictable winds both regionally and globally generating strategic uncertainties and challenges for the United States. The Middle East as a vital region is more disturbed by intra-regional political dynamics and a building-up of domestic public political discontent against authoritarian regimes, and only a notional support of democratic aspirations of the Arab street by the United States as the main supporter of these authoritarian regimes forced to look away due to strategic compulsions and political expediency. It was for this reason mainly that the United States never genuinely supported the Ara Spring democracy uprisings some years back. 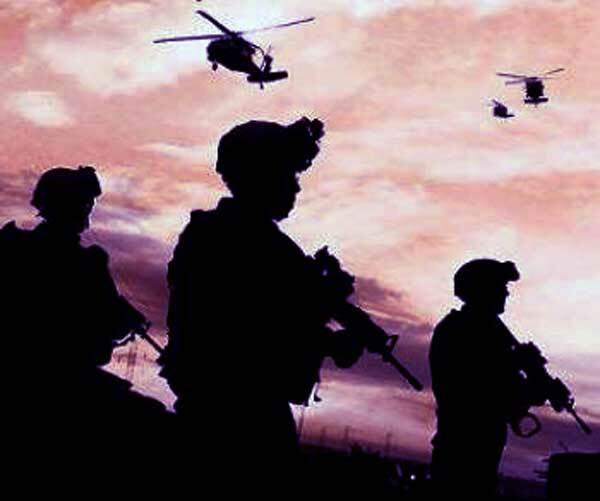 The United States -crafted strategic landscape in existence ever since the Second World War is undergoing rapid changes, at times, much to the strategic discomfiture of the United States. However, what needs to be noted is that the United States cannot be stated to be out of control of the unfolding events in the Middle East. Middle East oil essentially, and natural gas thereafter, determined the United States strategic stakes and the shaping of the United States strategic environment in consonance with United States strategic stakes. However, with the United States having reduced its oil dependency on the Middle East as per some reports from about 43% to 18% currently, drastically reduces United States oil-driven strategic stakes in the region. The CPEC, a multi-billion dollar infrastructure investment project, is heralded as a game changer for Pakistan’s economy and regional cooperation. Being a crucial part of a major development initiative led by China, known as ‘One Belt, One Road’ (OBOR), to connect Asia with Europe, the Middle East and Africa via roads, railways, pipelines, communication networks and industrial economic zones, the CPEC is much linked to hopes, interests, as well as regional and global geopolitics. However, such a megaproject raises numerous questions, foremost how Pakistan will be able to guarantee a secure and stable environment for the CPEC development which is the top requisite demanded by China, the main investor. Beijing is remarkable keen on an immediate (speedy) implementation of the CPEC, but it is also much worried about the safety of its projects and workers as well as the overall feasibility of an economic corridor in Pakistan. Why F-16s are important in US-Pakistan relations? F-16s carry a lot of symbolism for Pakistan. The narrative built around F-16s allows Pakistani military to send a signal to the public of its modern capabilities (such as smart bombs, night vision, BVR missiles), while the politicians can showcase their ability to extract goodies from the US. It is something the US officials understand rather well. Moreover, for USA; F-16s acts as their foreign policy tool to have its leverage over Pakistan. In India’s context, it is a diplomatic victory. India’s influence in USA is proving to be quite effective in isolating Pakistan as well as denying it from acquiring highly sophisticated F-16s. This is not the first time it happened with Pakistan. Last year, India once again defeated Pakistan diplomatically, when India’s influence prevented Sri Lanka from acquiring 8 JF-17s from Pakistan; breaking the dream of Pakistan to find its first ever customer for JF-17s. The history of F-16 deal, between US and Pakistan goes back to early 1980s, when Pakistan was an important military ally of USA. In 1979, Pakistan’s military dictator, General Zia-ul-Haq was provided intelligence information that India wanted to destroy Pakistan’s nuclear facilities at Kahuta. He immediately relayed this information to Air Chief Marshal Anwar Shamim, his closest confidant and also the deputy chief martial law administrator. Shamim was among a few four-star officers who had played a key role in developing Pakistan’s clandestine nuclear arms program. Air Marshal Shamim responded with the plea that it was necessary to procure supersonic fighter jets to keep the Indian planes at bay. The air chief told Gen Zia that since Kahuta was in close proximity to the Indian border, the Indian air force had the benefit of time. With the 3,488km border between the two Asian neighbours still a matter of formal dispute, Indian strategic policy analysts are divided on whether China’s new Silk Road project is a strategic and economic threat to their country — or an opportunity. Many see the project — which the Chinese have called One Belt, One Road (OBOR)— as something that must be carefully navigated, as Beijing develops large projects in countries that India considers part of its natural sphere of influence. However, New Delhi lacks the financial power to offer a credible alternative. On May 10, 2016, the USS William P. Lawrence conducted the United States’ third recent South China Sea freedom of navigation operation (FONOP). Many in Washington had been expecting a FONOP for several weeks, because the last FONOP was over three months ago and a defense official previously committed to conduct two such operations per quarter. Reports suggested that a FONOP was rescheduled last month for unknown reasons, so an operation appeared overdue. Nevertheless, the FONOP surprised many observers by targeting Fiery Cross Reef. Both of the previous FONOPs were conducted as innocent passages because they were directed against features that are entitled to territorial seas under the United Nations Convention on the Law of the Sea (UNCLOS). Thefirst FONOP was conducted near Subi Reef, which is below water at high tide, but is within twelve nautical miles of a feature that by its proximity provides Subi Reef with a territorial sea. The second FONOP was carried out near Triton Island, which is above water at high-tide and therefore merits its own territorial sea. As a result, U.S. Navy vessels had to transit “innocently” through these features’ territorial seas without maneuvering or conducting military operations. Recent tensions in the South China Sea have been receiving an inordinate amount of attention, especially following Beijing’s island and infrastructure construction activities as well as missile deployments, the U.S. Navy’s freedom of navigation operations and incidents involving coast guard forces and fishermen. By contrast, tensions in the East China Sea (ECS) appear to have abated. But the picture can be misleading; while Chinese coastguard intrusions into waters surrounding Japanese-administered Senkaku/Diaoyu Islands have appeared to decline in numbers, the present and foreseeable future situation remains far from comforting. There is not merely the China Coast Guard’s introduction of armed patrol vessels off the disputed isles. The People’s Liberation Army (PLA) continues to expand its air and naval force projection capabilities in the ECS, with an eye beyond into the Western Pacific open waters. Beijing has nowhere in the ECS to build “islands,” except for the numerous offshore hydrocarbon platforms it has built—they ostensibly also have asurveillance role—to count as permanent structures to assert its claimed sovereignty over the disputed gas fields and the Senkaku/Diaoyu Islands. The West is gearing up for another military intervention in Libya after destroying the country in 2011. What is the African Union – and all Africans – doing about this? What is the role of the AU Special Envoy to Libya, former Tanzanian President Jakaya Kikwete? At the minimum, the UN should be told that there should be no Western intervention until there is a full-scale inquiry into the first intervention. There is intense push for the NATO countries to make an overt intervention in Libya. In this moment, the justification is to fight the Islamic State and to prevent terror from spreading across the Mediterranean to Europe. As is the case in matters of the destruction of African societies, the governments of Britain and France are in the forefront of the push for the latest intervention. Germany does not want to be left out so the German state is now actively working for the UN intervention. Prior to this Spring, it had been difficult to get the legal cover for a bigger military intervention by the West, but now there is supposed to be a new ‘unity’ government with the mandate to call for the United Nations to militarily intervene. Every week there is a new meeting in Europe to push for intervention with no consultation with the African Union. In January, the African Union appointed former Tanzanian President Jakaya Kikwete its new special envoy to Libya. Thus far, all of the reports and discussions about a new UN sanctioned intervention have excluded the interests of the peoples of Libya and Africa. Progressive forces in the world need to stay alert on this new effort to intensify the militarization of North Africa and oppose the governments who are using the question of ISIS to make another push to control the resources of Libya and Africa. The UN-sponsored talks to end the war in Yemen, which started in Kuwait on 30 April, were suspended the next day without results as the Saudi-supported Yemeni government-in-exile walked out on the plea that the rival Houthis attacked and captured a military base in the north in violation of a cease-fire that had been more or less holding since 10 April. On their part, the Houthis have accused the Saudi-supported Yemeni government of violating the cease-fire “4000 times”. The Kuwait talks were preceded by numerous separate meetings with the warring sides by the UN mediator Ismail Ould Cheikh Ahmed. A veteran UN official from Morocco, Ahmed was appointed to the position in April 2015 within a month of the war started by the Saudi-led coalition with airstrikes on Houthi-held areas. The toll of the war in Yemen so far is 9,400 dead, of which 4,000 are women and children. Further, 16,000 people have been injured, and 21 million, equal to 80 per cent of the population, are badly in need of humanitarian assistance which is not reaching them always. To understand what is happening and why it is happening, we need to go back at least to the dawn of the Arab Spring in Yemen in 2011. As negotiations continue to uphold a teetering ceasefire in Syria, Center for a New American Security (CNAS) Middle East Security Program researcher Nicholas Heras has written a new report arguing that the primary U.S. effort in Syria should be a bottom-up strategy to build cohesive, moderate, armed opposition institutions with a regional focus. The report, “From the Bottom, Up: A Strategy for U.S. Military Support to Syria’s Armed Opposition,” examines in-depth the current state of U.S. support for opposition groups in each region and makes a case for scaling up that support. With the current state of the Syrian civil war, the conditions are not ripe for de-escalation in the conflict. If the United States is seeking a transition from the Assad regime that does not lead to the enduring rule of ideological extremist organizations throughout Syria, it will need to become the decisive influence that shifts the military balance on the ground in rebel-ruled areas in favor of the politically moderate armed opposition. Therefore, the primary U.S. effort should be on a bottom-up strategy for building cohesive, moderate armed opposition institutions with a regional focus that is tailored for each individual region within Syria. This line of effort depends on providing incentives for the already U.S.-vetted moderate armed opposition groups to join together into larger regional coalitions with genuinely unified command. he thirty something prince who is running the show in Riyadh is looking to use guns and oil to flex Saudi muscle. Whenever questions are raised about the moral justification for destroying Hiroshima and Nagasaki with atomic bombs in 1945, it’s generally assumed that President Truman’s decision to use these weapons was instrumental in ending World War II. Given the staggering loss of life the war had already brought by that time, it’s hard to avoid imagining that almost any means possible — including the use of nuclear weapons — might have been justifiable if this would result in hastening the end of the war. Hiroshima was bombed on August 6, 1945. Japan’s surrender was announced by Emperor Hirohito on August 15. For this reason, many Americans think that apologizing for the destruction of these two Japanese cities would make no more sense than wishing that the war had dragged on for longer with even more lives lost. But in Five Myths about Nuclear Weapons published in 2013, Ward Wilson argues that it was Stalin’s decision to invade Japan — not the use of the bomb — that led to the Japanese surrender. Wilson points out that while the nuclear attacks on Hiroshima and Nagasaki are typically viewed as extraordinary in the level of destruction they caused, during the U.S. air campaign at that time there was less reason than we imagine to draw a sharp distinction between conventional and nuclear bombing. LONDON • Frustrated for decades, they finally lost their patience: In a move which surprised President Barack Obama's officials, US lawmakers decided to forbid the use of US taxpayers' money to subsidise the sale of eight F-16 fighter jets to Pakistan. This was one of those rare occasions when the US executive branch lost a weapons deal on Capitol Hill, and especially a defence contract aimed at bolstering one of the United States' closest allies. But that was precisely the problem, for Pakistan is no longer considered an ally by both Democrats and Republicans in Congress, angered by what they see as Pakistan's policy of supporting terrorist networks in neighbouring Afghanistan, as well as Pakistan's alleged connivance in exporting violence to India. The episode was hailed by congressmen as the beginning of a new US policy of punishing allies which not only fail to provide an adequate return for the heavy US investment in their nations and militaries, but actually act as an obstacle to US security interests. And the mood of impatience with allies which fail to "deliver" - as Washington's fashionable parlance now puts it - is intensifying from all quarters: President Obama criticises European "free riders" who demand US security guarantees without offering a payback, while Republican presidential candidate Donald Trump dismisses most of the US military alliances as simply a waste of money. When we ask "Who rules the world?" we commonly adopt the standard convention that the actors in world affairs are states, primarily the great powers, and we consider their decisions and the relations among them. That is not wrong. But we would do well to keep in mind that this level of abstraction can also be highly misleading. States of course have complex internal structures, and the choices and decisions of the political leadership are heavily influenced by internal concentrations of power, while the general population is often marginalized. That is true even for the more democratic societies, and obviously for others. We cannot gain a realistic understanding of who rules the world while ignoring the "masters of mankind," as Adam Smith called them: in his day, the merchants and manufacturers of England; in ours, multinational conglomerates, huge financial institutions, retail empires, and the like. Still following Smith, it is also wise to attend to the "vile maxim" to which the "masters of mankind" are dedicated: "All for ourselves and nothing for other people" -- a doctrine known otherwise as bitter and incessant class war, often one-sided, much to the detriment of the people of the home country and the world. May 10, 2016 Berehove exemplifies the mingling of people, languages and cultures typical in borderlands. When I travel to Ukraine from Central Europe, my phone automatically changes time zones right when I cross the border. But when I arrived in Berehove, a town of 24,000 in western Ukraine, my watch did not match the town’s clocks. Berehove, known in Hungarian as Beregszász, is perhaps the only town in Ukraine where the majority of locals do not use Kiev time, but rather European time matching that of Budapest, Prague and Paris. Even in Mukacheve, merely 33 kilometers (20.5 miles) away, the clock tower in the town’s medieval fortress shows Kiev time. The locals’ insistence on using European time in their town is the result of a complex geopolitical legacy. Berehove is a town in Ukraine’s westernmost region, Zakarpattia. Zakarpattia is a mountainous, mineral-rich area that today borders Romania, Hungary, Poland and Slovakia. For Ukrainians living in other regions, Zakarpattia is considered a sought-after destination. With Crimea under Russian control, Ukrainian tourists come to spend their vacations in western towns like Berehove. Visitors to the town 100 years ago, however, would find themselves in the eastern reaches of the Austro-Hungarian Empire, where a mixture of Ruthenian, Yiddish, German and Hungarian could be heard throughout the main streets. From the very start of his presidency, Barack Obama has expressed clear preference for “a world free of nuclear weapons.” In principle, of course, this openly revealed hope for eventual nuclear disarmament may initially have sounded altogether admirable and benign. In fact, however, it was never remotely plausible, and it was also never desirable. Indeed, if nuclear disarmament had actually been taken seriously as tangible policy (thankfully, it wasn’t), this delusionary sentiment could have led the United States and certain allies to sometime incur very substantial or even incalculable military harms. Any such correlation seems to have been rooted in the president’s unhidden presumption that nuclear weapons, precisely because of their conspicuously unique power of destructiveness, are more than “merely” dangerous. In this starkly confused view, such weapons are taken to be inherently bad. Here, at least in terms of formal logic, the conclusion doesn’t follow at all from the premises. This conclusion is very plainly fallacious. In my last article, I noted that the tendency to define U.S. power as the ability to deploy military force was running up against clear limits, because “without the ability to instantaneously transport equipment and personnel from one area to another, the United States must either massively increase its defense and security expenditures to increase its presence in all theaters, trust that allies will finally meet the challenge and increase their own spending to fill in the gaps, or accept risks in certain areas.” Thus, my conclusion was the need for the United States to think in global terms and to prioritize the allocation of its military resources. Such calls make some people nervous—that any sort of retrenchment will leave U.S. interests in other areas vulnerable and exposed. This thinking is reinforced by the belief that the only sign of a U.S. commitment is the use of the military instrument. Indeed, one of the tendencies in American national security policy over the last sixteen years has been increasing militarization of the U.S. response—and the shrinking of available options to an unpalatable binary choice between using force or doing nothing. This dilemma is intensified because, as Robert Blackwill and Jennifer Harris lament, “the United States too often reaches for the gun instead of the purse in its international conduct.” This is not just the conclusion of two “outsider” academics, but two distinguished public servants and national security professionals who have made the case for decreasing American reliance on military force as the premier way to influence international events from within administrations of both parties. As 2014 drew to a close, the recession of Russia’s economy was already evident. Things have only gotten worse since then — with its GDP contracting by 3.7 percent and the value of the ruble falling about 127 percent in 2015, Russia is now in the midst of a severe economic crunch. Various factors like falling oil prices, economic sanctions, and a weak domestic market have contributed to the ongoing downturn. According to World Bank forecasts, the Russian economy is expected to continue to contract in 2016, albeit a little less than last year. Slow yet positive growth is expected from 2017 onward. 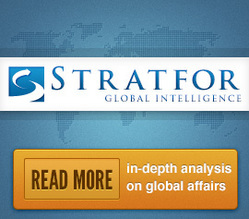 At present, Russia is beset by a variety of external and internal challenges. The country’s status as an energy producer, which previously helped it in economic growth, has now emerged as its major challenge. The Russian economy is heavily reliant on energy export with oil and gas comprising about half of the government’s revenue. Other raw materials, such as metals, also contribute to the country’s exports. Constantly falling energy and commodity prices throughout 2015 have resulted in significant revenue deficit for Russia. Since commodity prices are expected to remain low for some time, this is much more than a temporary setback. The greatest challenge has emerged in the form of a decline in private investment. 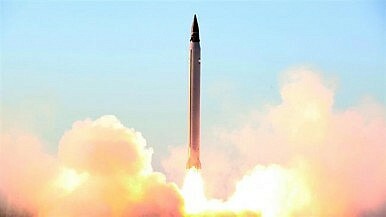 Iranian Defense Minister Brigadier General Hossein Dehqan rejected a claim made by Deputy Chief of Staff of the Iranian Armed Forces, Brigadier General Ali Abdollahi, on Monday that Iran test-fired a ballistic missile with a range of 2,000 kilometers (1,242 miles) and a margin of error of eight meters in April, according to Fars News Agency. “We haven’t recently tested any missile with the range of 2,000km and with an 8-meter-margin of error,” Dehqan told reporters earlier in the week. Iran’s defense minister, however, emphasized that the development of the country’s missile program will never stop. Brigadier General Abdollahi announced the missile test on Monday during a conference at Baghiatollah Hospital in Tehran, an affiliate of the Islamic Revolutionary Guards Corps. “Two weeks ago, we test-fired a missile with a range of 2000 kilometers (1,242 miles) and a margin of error of eight meters,” Abdollahi said. “Eight meters means nothing, it means it’s without any error (…). We can guide this ballistic missile,” Abdollahi boasted. On May 11, the United States, allies and partner nations kicked off this year’s iteration of the annual U.S.-led Pacific Partnership mission, the largest annual multilateral humanitarian assistance and disaster relief preparedness mission in the Asia-Pacific. 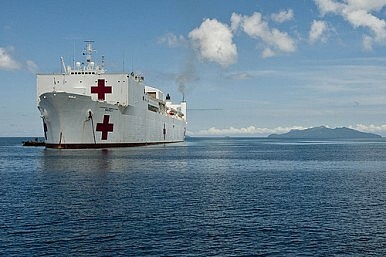 This year’s mission will be led by Commander, Destroyer Squadron (DESRON) 23, embarked on the hospital ship USNS Mercy (T-AH 19), and will include more than 600 military and civilian personnel from the United States, Australia, Canada, New Zealand, the United Kingdom, Malaysia, Singapore, Republic of Korea and Japan, according to a statement released by U.S. Navy’s Commander, Logistics Group Western Pacific (COMLOG WESTPAC), the Seventh Fleet’s principal logistics agent and bilateral exercise coordinator for Southeast Asia. Japan will also lead a mission to Palau. On May 10, the White House announced that President Barack Obama will visit Hiroshima when he visits Japan to attend his final G7 Summit in Ise-Shima. 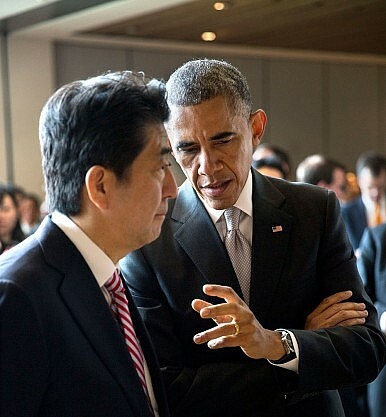 Japanese Prime Minister Shinzo Abe will accompany Obama on his visit to Hiroshima. Since Secretary of State John Kerry visited the Peace Memorial Park and Museum during his visit to Hiroshima for the G7 foreign ministerial meeting in April, the prospect for Obama’s visit to Hiroshima has been receiving renewed attention. The question of whether a sitting U.S. president should visit Hiroshima is extremely politically sensitive. On the one hand, Obama’s visit would demonstrate his enduing personal commitment to the goal of a nuclear weapon-free world, which he proudly advocated in his speech in Prague in April 2009. On the other hand, a presidential visit could reopen the discussion within the United States regarding whether the use of atomic bomb—not only on Hiroshima but also on Nagasaki—was justified, given the massive civilian casualties. As Jennifer Lind articulates in her article in Foreign Affairs on April 8, 2016, a strong case can be made both why Obama should and why he should not visit Hiroshima as a sitting U.S. president. But now that the decision has been made that Obama is going, what can and cannot (or should not) be expected from his visit? Mark Landler, Alter Egos: Hillary Clinton, Barack Obama, and the Twilight Struggle Over American Power (Random House, 2016). Exactly eight years ago, as what was then one of the longest, most expensive, and hard-fought primary campaigns in decades wound down, the Democratic foreign policy establishment was deeply divided between “Obama people” and “Clinton people.” Of course, most of the differences were exaggerated — after all, many of Obama’s senior campaign advisers had been senior officials under President Bill Clinton — but like any family of competitive hard-chargers, the disputes could become energetic and bitter, and many on both sides assumed an “us versus them” outlook. The two worlds dutifully unified for the general election campaign, but it always seemed an uneasy alliance.